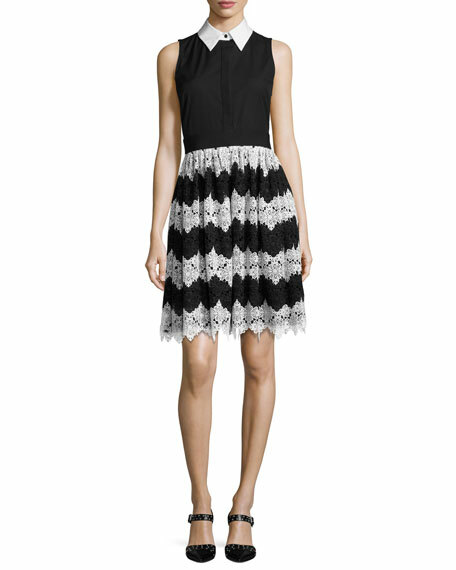 Alice + Olivia "Stari" flare dress, featuring shirtwaist bodice and striped lace skirt. Contrast point collar; hidden button front. 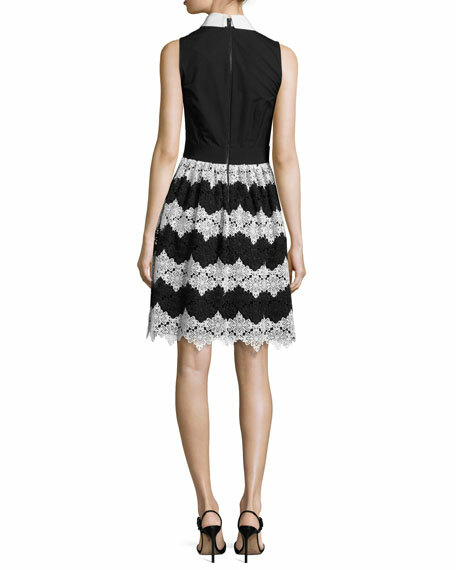 For in-store inquiries, use sku #2148819.